← Finally we have it: the big whiteboard! 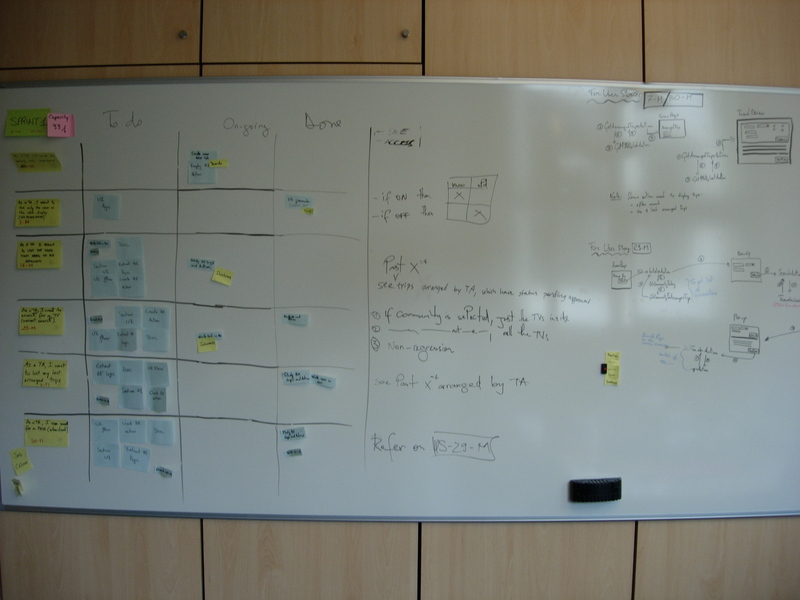 Here a photo of the scrum board taken during the first week of the sprint. We organized it as a pure scrum board (vs Kanban board) but we’ll wait all the team to be present to decide eventually a different organization.